This soy milk is cute, delicious and has 31 per cent less sugar than the market leader. Here’s where you can try it. The rise of alternative milks (“mylks”?) has been on cafe, corporate and consumer radars for a while now. In Australia its industry worth is estimated to be $150 million, and according to Animals Australia more than three million Australians are living life dairy free. 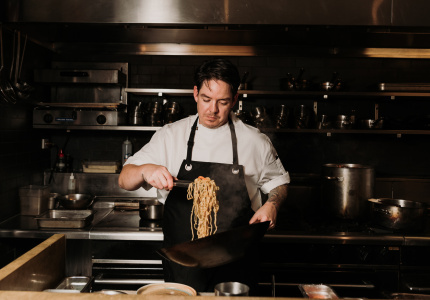 So a new player with an espresso focus in coffee-loving Australia is a big deal. 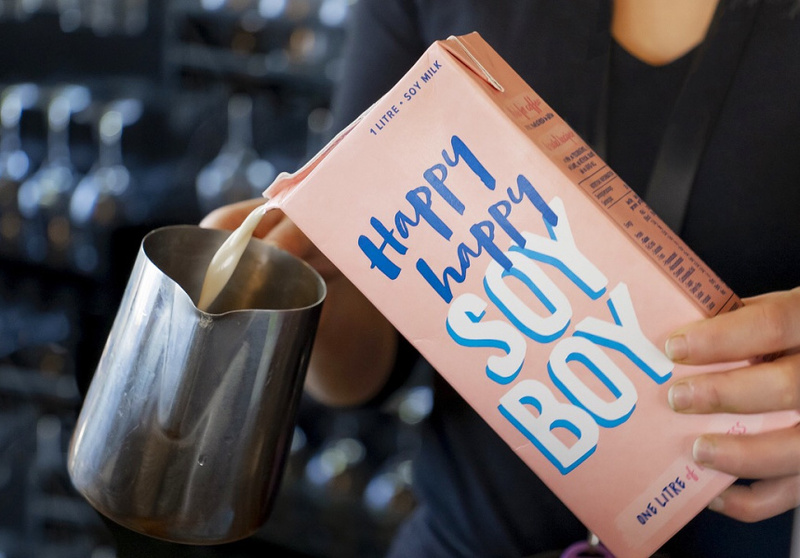 Happy Happy Soy Boy is a new soy milk, and it’s by Melbourne hospitality operator Lloyd Smith and his food-tech buddy John Cruse. The pair was tired of drinking plant-based products that curdled and split when heated and blended with espresso, so they made a balanced soy milk to compete with the current market leader – Bonsoy. 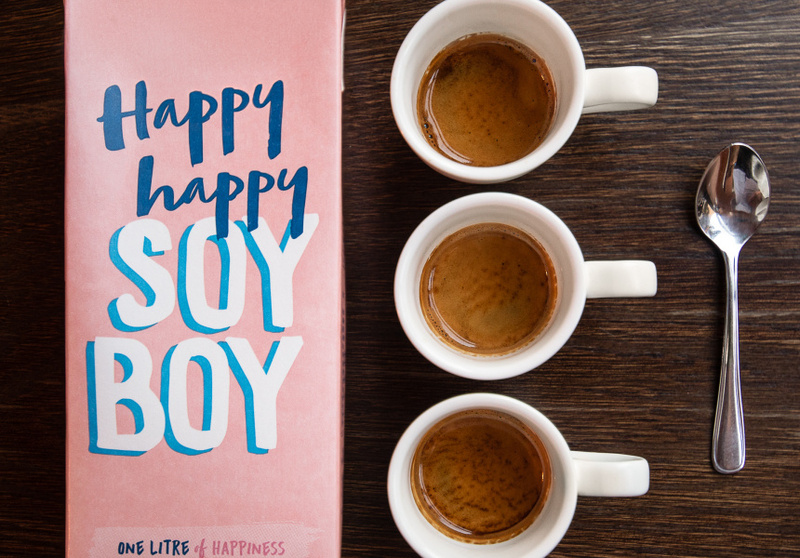 Happy Happy Soy Boy is a smooth and creamy dairy-free alternative designed to work with the natural acidity of espresso coffee. It’s free from stabilisers, emulsifiers, kombu and GMOs (genetically modified organisms), and has 31 per cent less sugar than its leading competitors, although the sodium level is higher (Happy's 187mg to Bonsoy's 97mg). And six months after its launch it’s now available in more than 1000 cafes across the country. As the brand’s kawaii (cute culture) millennial-pink packaging and name would suggest, Happy Happy Soy Boy has its roots in Japan. It’s made in partnership with Japan’s oldest family-owned soy company, which has 400 years of soy experience. HHSB is made by soaking whole soybeans, which are then finely ground, filtered and blended with four ingredients: water, salt, brown sugar and calcium carbonate (a natural mineral). There’s a lot of buzz about the environmental benefits of switching to plant-based milks. A recent study, used in this excellent report by the BBC suggests a glass of milk results in three times the greenhouse gas emissions of non-dairy milks. 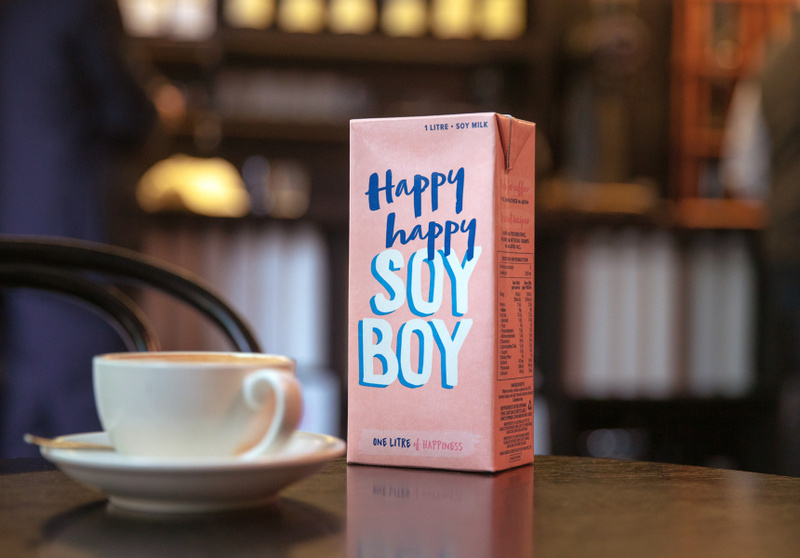 As reformed dairy drinkers, the Happy Happy Soy Boy team wanted to develop a product for the cafe market that was sustainable and so tasty it would motivate milk lovers to make the switch. “This is the first generation to know we are having a significant impact on the environment and world we live in. But we can change this. 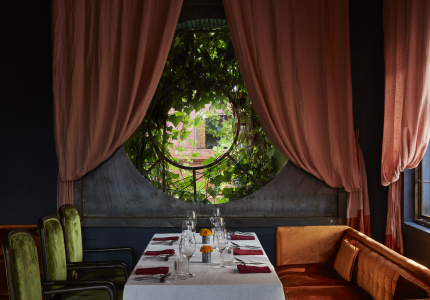 The consumer has the choice to change the world we live in, one purchase and consumption at a time,” Smith says. 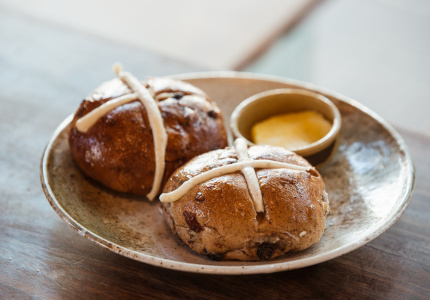 For Earth Hour 2019 (March 30), the Happy Happy Soy Boy team are calling on Aussie coffee drinkers to choose plant-milk coffees in a bid to reduce greenhouse gas emissions. 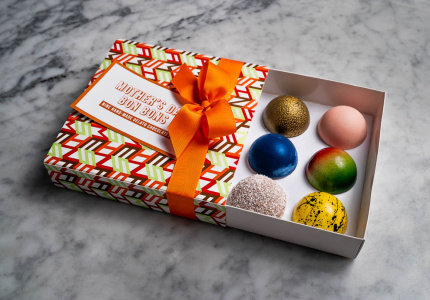 It’s now available in more than 1000 cafes across the country. Find your nearest Happy Happy Soy Boy stockist here.